Evaluating pressure sensors for your application can be confusing and timely. 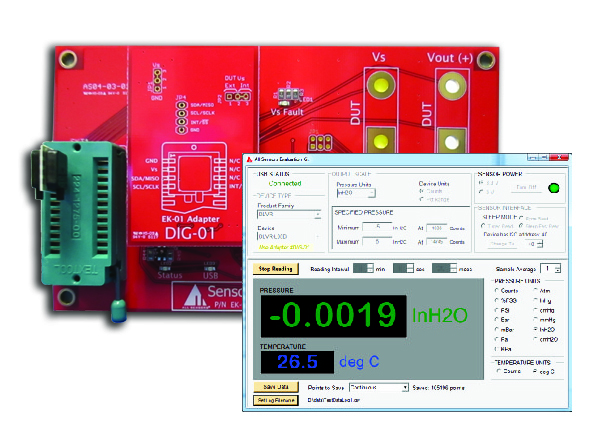 To help streamline this process, All Sensors has developed an evaluation kit to make evaluating pressure sensors easy! It’s critical for design engineers to evaluate potential devices early in the development process to eliminate non-compatible devices and narrow down the potential solutions for further testing.